This page will include an in-depth review of 7 of the best shorts for squatting. If you're looking for a quick answer, I've summarized the key features of each pair of shorts in the table below. Be sure to read the whole article if you want additional information on each of the shorts. Plus, I'll go into detail on each of the key features to look at to determine if a pair of shorts is good or bad for squatting. Clip to attach keys, liquid chalk, etc. Clip for keys, chalk, etc. 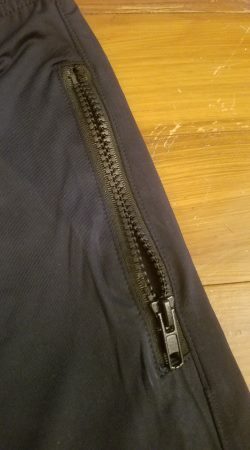 2 side zipper pockets; can hold phone, but it's a tight fit. 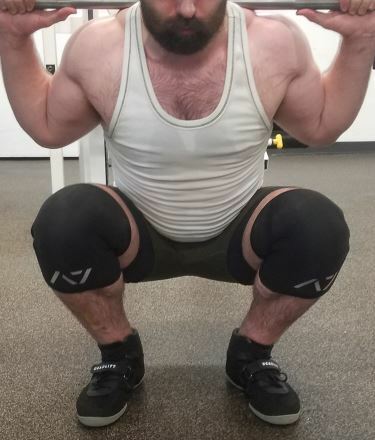 Squatting may be the king of all exercises, but finding the right gear for your next PR can be more of a royal pain than privilege. 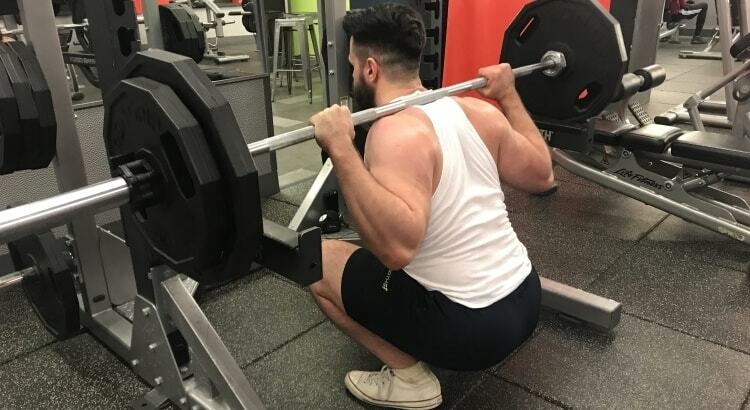 This article will guide you to find my picks for the best shorts for squatting, and how to choose the pair that is best for you and your goals! In the world of athletic performance, every potential advantage has to be leveraged, and every disadvantage and distraction must be minimized. This holds true in the world of lifting as well, especially when attempting to set records or squat 2 or 3 times your bodyweight. For years and decades, many lifters have relied on special gear or optimal gear to perform. This might have included certain styles of shoes, knee wraps, wrist wraps, waist belts, chalk, and so on. 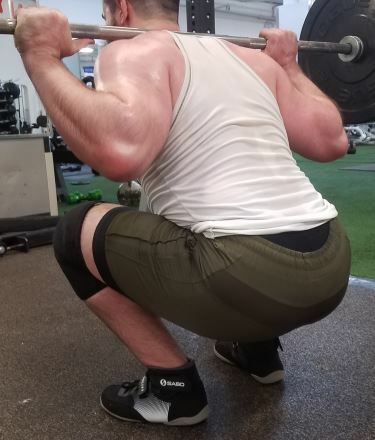 However, rarely is the topic of shorts discussed, and in my opinion, the piece of gear that helps support or cover the critical part of the body responsible for squatting is a pretty important piece of gear to maximize. 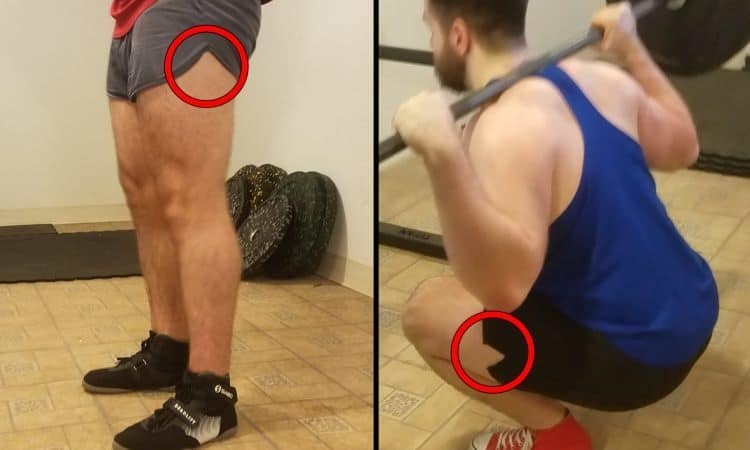 So why might we need a special or specific pair of shorts just for squatting? 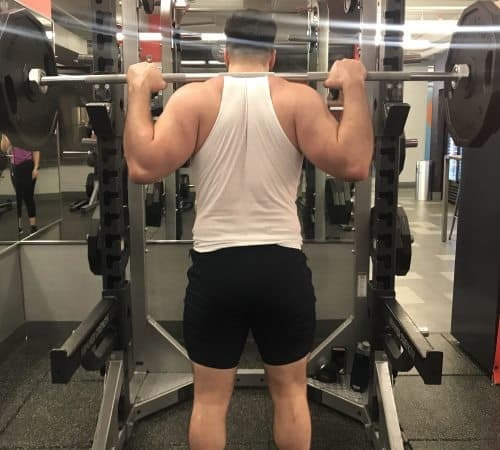 First and foremost, if you’ve started lifting recently and seen some gains from a great training program, your newly acquired thighs of steel may have outgrown much of your previous wardrobe, especially when lifting. 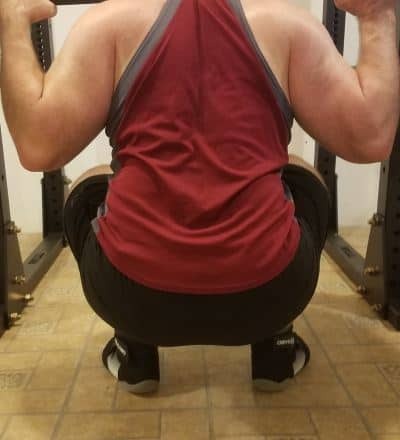 If you are at this point in your lifting progression, I salute you on your journey to increased gains. This is the ideal time to revamp your wardrobe to that of a more experienced lifter. 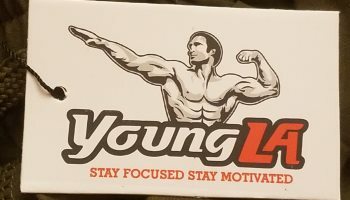 As an example, a recent blog from John Phung covered his difficulties after squatting heavy and having to replace all of his jeans, underwear, and shorts! 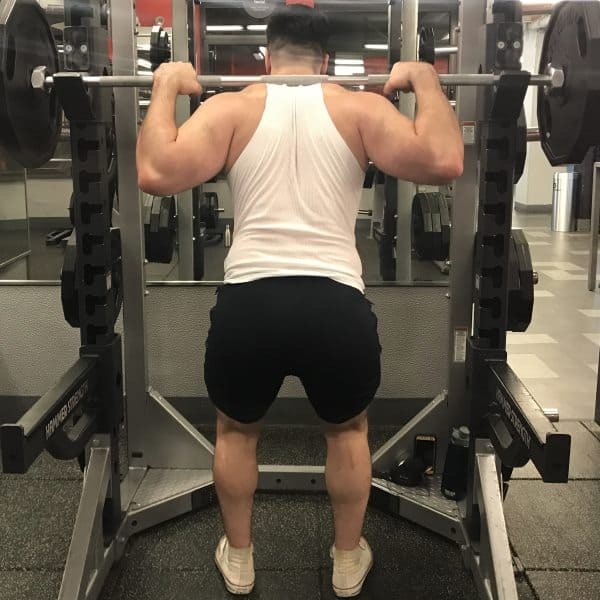 Secondly, as you see your squat number increase and you require more and more intensity to conquer your latest PR, I can tell you from personal experience that when you’re under a heavy bar in a do or die fight to get it back up, the last thing you want to think about is your shorts catching on your knee or riding up your thighs and glutes. 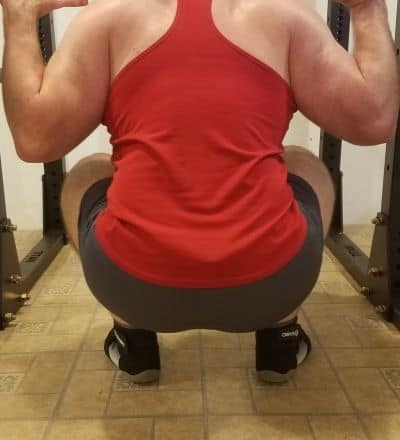 will help you to direct all of your focus into the squat for maximum training intensity rather than having that nagging annoyance in the back of your mind. 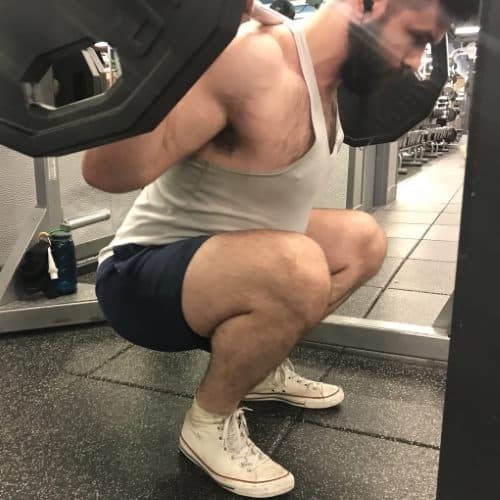 Not to mention, if you’ve ever tried squatting in the wrong pair of shorts, there is nothing more annoying than having shorts rip, tear, or chafe at the bottom of a squat. Form and function also play a part. 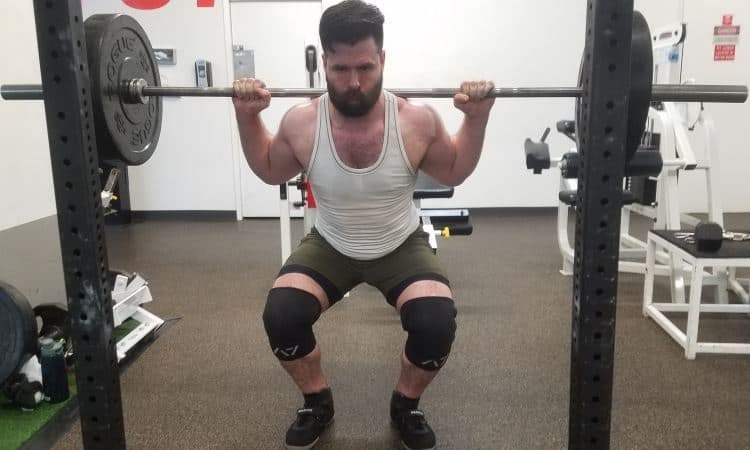 As explained in this article from Schwarzanegger.com, there are a variety of physical characteristics such as femur length or hip mobility that will play a part in your squat form, as well as how you prefer to set up. 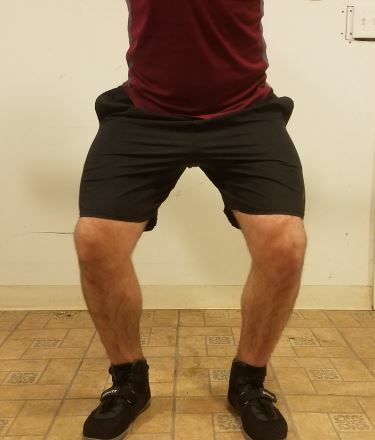 For example, if you use a wider stance than a conventional squat, shorts with slits on the side and mobility are going to be a good option. In regard to function, we want to analyze what helps you maximize your squat and feel like the next Dr. Fred Hatfield. However, comfort and aesthetics are equally important and the competition style singlet is probably not the best choice in those regards for going to your local gym. I’ve elected to use these three distinct criteria in our selection process and break them down further so that we will hopefully help you decipher the many different options out there and what to look for to determine the best fit. Quite simply, can you squat better or more efficiently using the proposed squat shorts as compared to your normal or current pair? 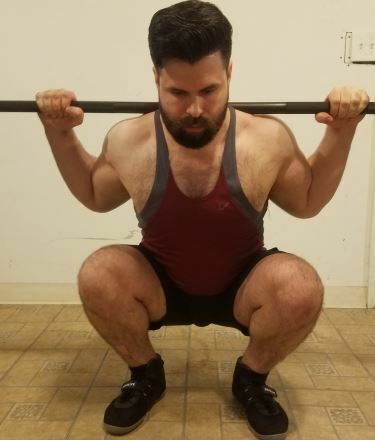 This may depend on the type of squat you prefer. 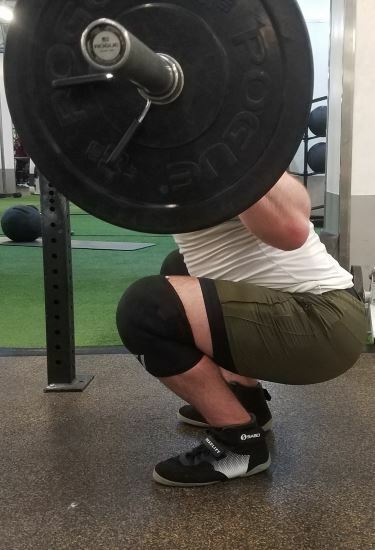 Some lifters may not go especially deep, some prefer to get to parallel or 90-degree knee bend, others prefer to go Olympic style and get as deep as possible. Additionally, you may prefer a front squat to the back squat which generally requires a deeper hip position. 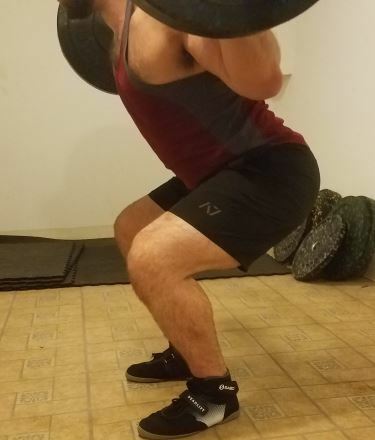 Mark Rippetoe of Starting Strength offers some great tutorials on squat form, such as this one on the front squat, and I recommend you first identify what kind of squat form you prefer to get the pair of shorts that best fits your style. 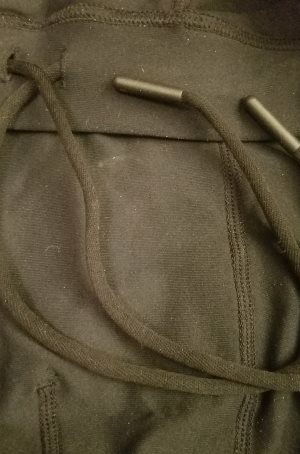 pockets for holding a cell phone, wallet, gym ID, etc. 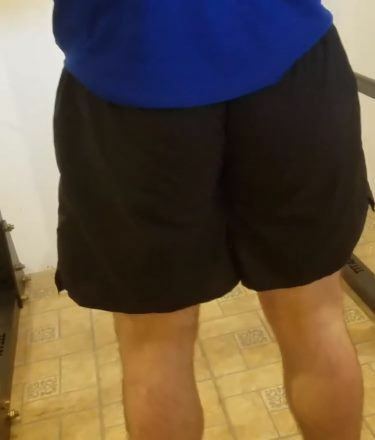 If you use a commercial gym and want to keep your phone, keys or otherwise on you while working out, you’ll want shorts with pockets, while a home-gym style may require shorts with less storage. Depending on your training conditions, you may want to think about their ability to keep you cool and dry as opposed to humid and gross as well. Shorts especially designed for squatting should enable you to solely focus on improving in what counts, that being your squat. Thus, the comfort level of the shorts is crucial, the last thing you want on your mind with a heavy bar crushing you is irritating clothes or ripped shorts. If they stay in place as a good fit. No one wants to spend their recovery time fiddling with their shorts instead of focusing on the next lift. If possible, during your next squat session, pay attention to whether you prefer baggy shorts or tight compression style. Also, you want to consider if the shorts will generally stay in place or ride up and down your thighs during each rep. 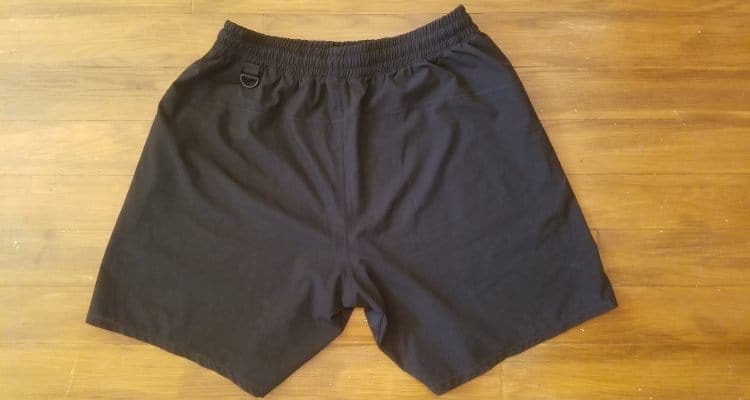 In terms of specifics, shorts should offer a blend of fabric that doesn’t create a humid atmosphere or is too loose and allows muscles to get cold either, they should find a sweet spot that insulate the legs while still allowing room for air to circulate through the fibers. 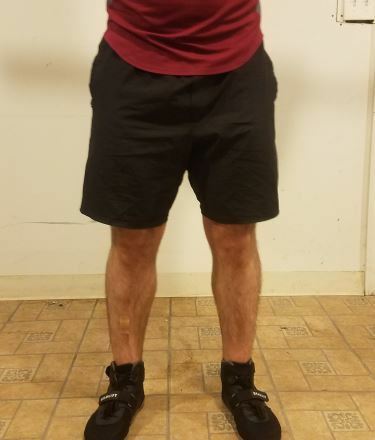 Finally, from an aesthetic point of view we have to evaluate first if you like the look of the shorts, and more specifically how they look on you. 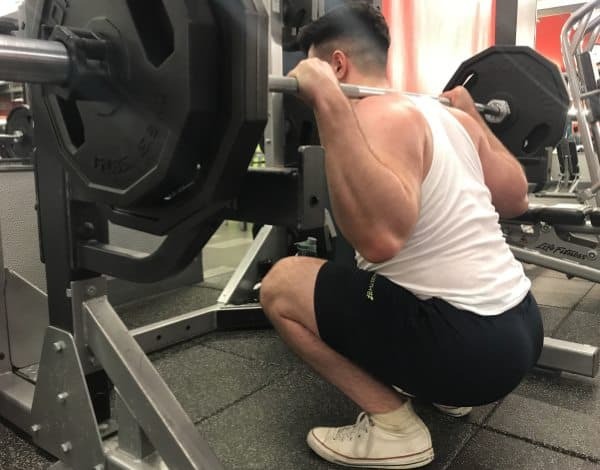 Squatting is a confidence game and if you’re apprehensive or distracted by feeling awkward in weird shorts, odds are your squat performance will suffer. 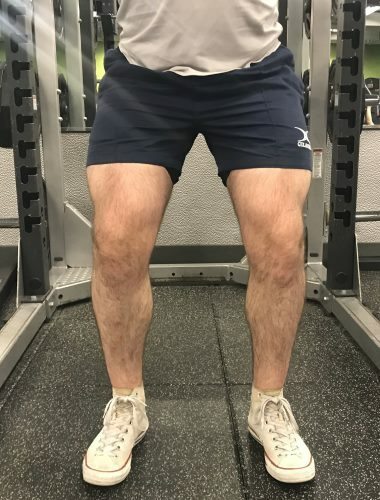 Secondly, if you train in a group or commercial gym setting, evaluate if the shorts fall within the dress code of appropriate attire at the gym. 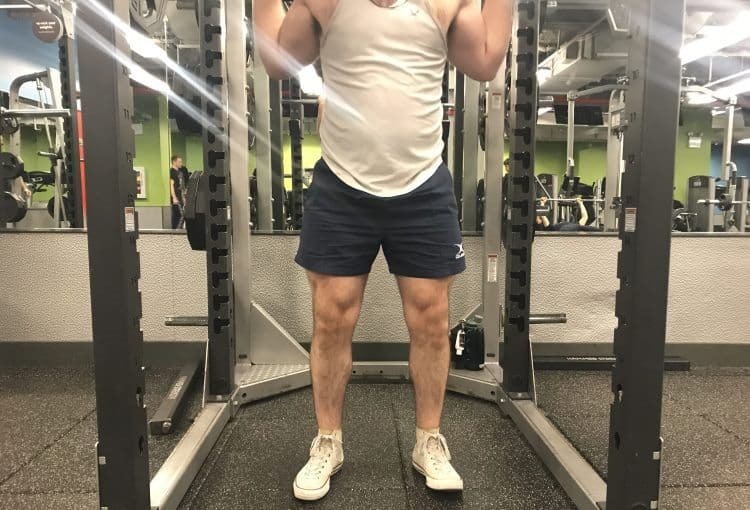 If you work out in a home gym or more informal gym perhaps, shorts without much length or slits on the side might work great, however your average commercial gym attendee may be less appreciative. You may also want to consider the aesthetic options as well, some shorts may have different color options or designs, or may even have a fashionable element of some kind, while others may be strictly utilitarian in nature and thus not overly aesthetically pleasing. Not all shorts are created equal, and certainly not when it comes to squats. 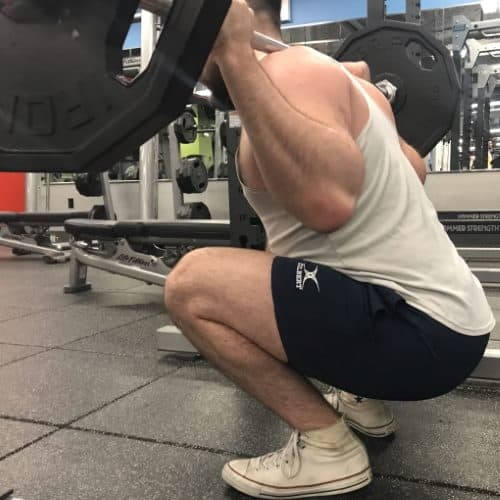 It is vitally important that the fabric of the shorts has a pliable nature that will allow it stretch as you drop into the bottom of the squat, this will eliminate some of the discomfort that can be felt when squatting with the wrong pair of shorts. 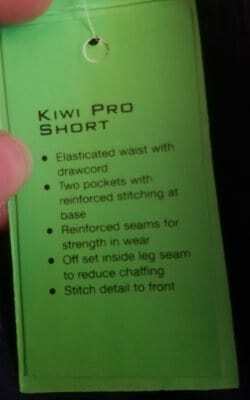 It is extremely important for squat shorts to be made from fabric with some stretchiness. 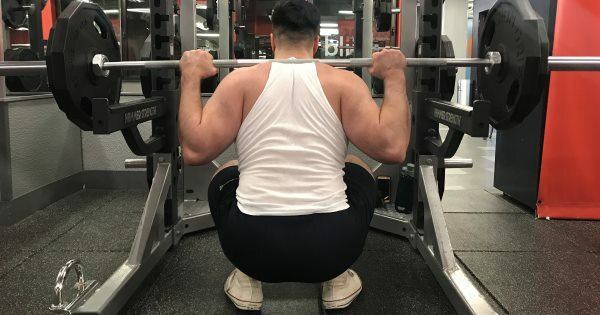 The property of stretch is of paramount importance in the groin region in particular, because your thighs will be pushing far out at the bottom of the squat,thereby pulling on this area of the shorts. Some shorts like the A7 Squat Shorts are constructed with stretchy fabric just in the region between the legs. Other shorts just construct the entire pair of shorts from stretchy fabric, which may not be as targeted of an approach. Both approaches are equally effective from a functional perspective . You don’t need rubber band level of stretchiness. Rather, the shorts just need “enough” stretch to prevent any noticeable resistance at the bottom of the squat, pulling your thighs in. Without sufficient stretch, the shorts will inhibit your mobility, which in turn degrades your form and ultimately makes you weaker on squats. 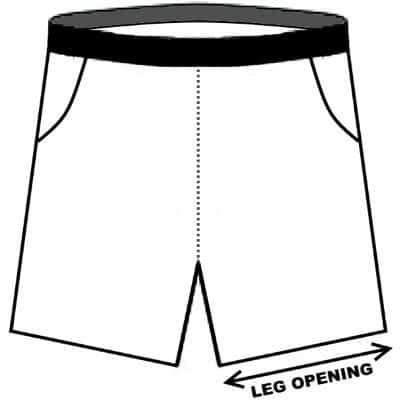 The inseam is another important attribute to take into account when analyzing if a pair of shorts will be effective. 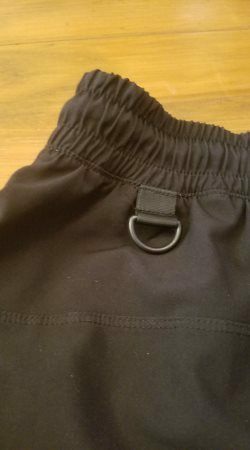 The inseam measurement is tied with “stretch” for the most important attribute in a good pair of squat shorts. Generally, you want a relatively short inseam. 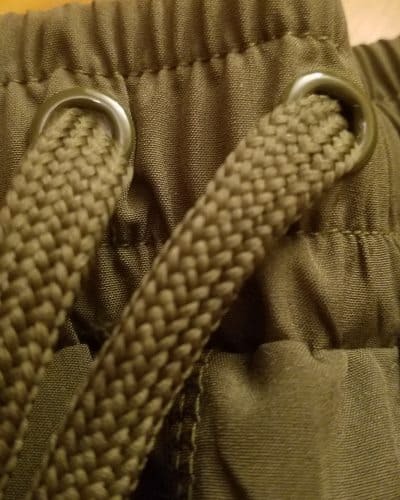 To give a general range of “ideal” inseam — Anything from 3-8” is the sweet spot in my opinion. A 9” inseam can be okay for most guys, but may be too long for shorter guys. Even for taller guys, it may just feel like too much material. Anything longer than 9” gets more and more likely that the short will catch on the knees. 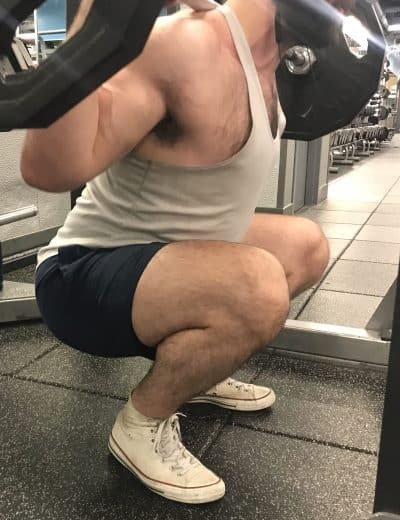 Anything under 3” quickly gets you into the area of being called the "short shorts guy" at least at your average commercial gyms. If you go for it, expect lots of looks. Even 3-5” might be too “showy” depending on your personal comfort/confidence and the type of gym you train at. Really, it's up to your preferences. 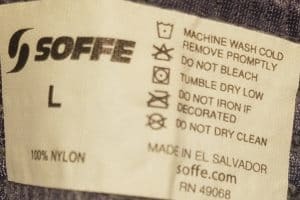 Any shorts worth their salt should have fabric that is at least somewhat breathable. The fabric should alloweeds sufficient air circulation to help keep you dry and cool when workouts get intense. Breathability generally means that air can easily pass through the actual fibers in the fabric. 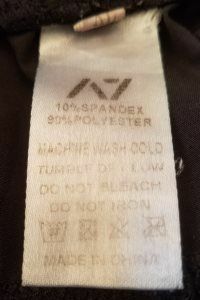 However, even if your fabric isn’t the most breathable, some of this can be compensated for with lighter/thinner fabric, and/or a looser fit around the thighs. In additional to breathability, the fabric should ideally be moisture-wicking, especially if you sweat a lot. Leg opening should be large enough to accommodate your thighs. Basically, you don’t want the leg (and especially the “cuff” of the leg) to feel like it’s choking your thighs. For more form-fitting short styles with very stretchy material (especially compression shorts; but may also be stretchy shorts that aren’t categorized as compression), the leg opening may be smaller than your actual thigh, but this is to be expected since the material is very stretchy. Leg opening shouldn’t be so large that it feels like you’ve got parachutes on your thighs. Leg opening preference depends on how big or small your thighs are. Looseness is okay if that’s the style of the short. As long as it’s comfortable for you and doesn’t get in the way in terms of impeding movement, or possibly catching onto/getting pinched between equipment. 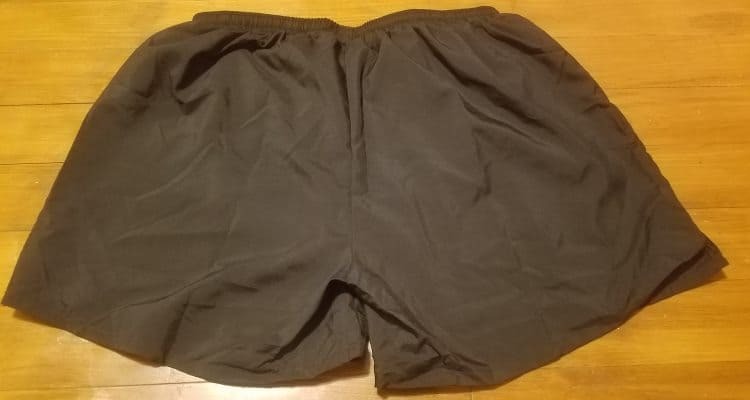 The ideal shorts in my opinion should have at least one large side pockets. Two would be even better. Ideally pockets should be large and deep enough to comfortably fit a smartphone. Should be elastic to stay in place while allowing for any type of torso movement or expansion/contraction of the torso/abs from heavy breathing or spinal flexion/extension. 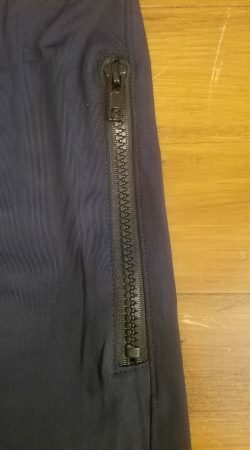 Should also have a drawstring so you can have the waistband exactly as tight as you want them, to achieve the amount of support/hold at the waist that is optimal for you. Slits on the outer sides of the shorts are clutch for allowing more leg room when the shorts are higher up on your thigh at the end range of motion (e.g. at the bottom of the squat; at the bottom of lunge). This feature is not necessary on shorts with extra flexible fabric or a cut that gives plenty of room for full range of motion. 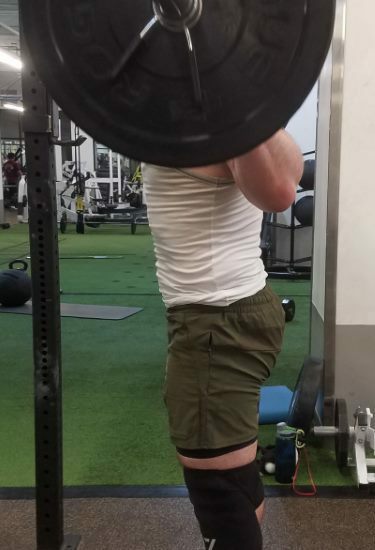 However, for shorts that lack one or both of those design factors, side slits are the perfect solution for reducing if not eliminating restriction at the bottom of the squat range of motion. Below are 7 potential options for you to find the best shorts for squatting. 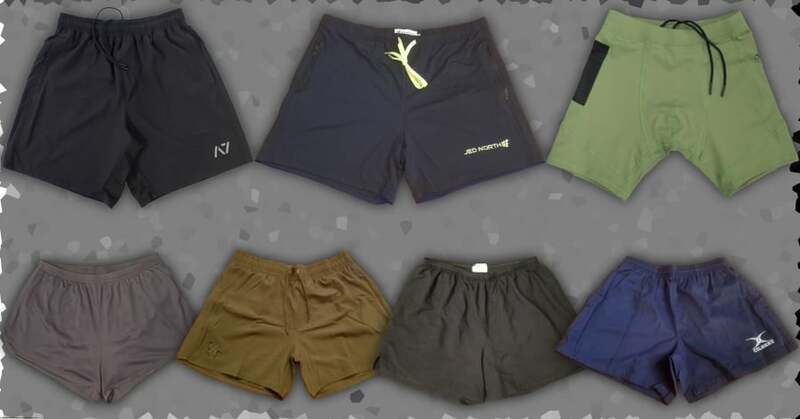 This is not an exhaustive list as there may be more options or different ones you prefer, but in my opinion, these were 7 products that I have used and felt gave you a great scope of possible products for shorts and their pros and cons. 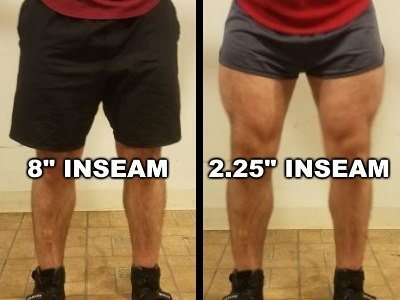 They all have unique characteristics, as such I’ve listed some specifications for each product, along with my pros and cons for that product in regard to squatting performance. 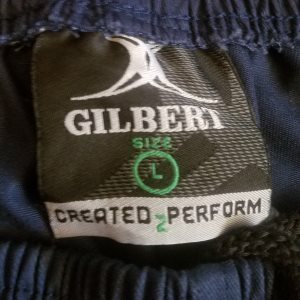 At the end, I will also provide my recommendation for the best pair of shorts for squatting deep, heavy, and setting some PR’s! The A7 Center-stretch Squat Shorts are a highly functional pair of shorts designed with the high-level squatter in mind and are a great option for training for performance. Note the different type of material in the inner thigh region. 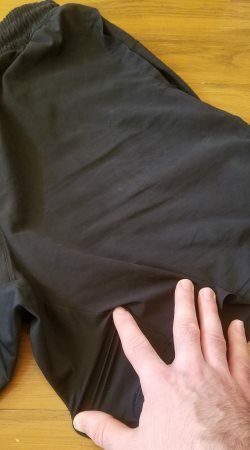 This is the stretchy part of the "Center-stretch" shorts. 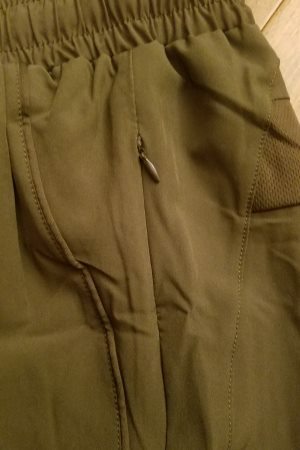 Has a clip on the left rear part of the shorts, just below the waistband. These shorts are hand-cut and hand-stitched, and use a stretchy fabric blend for maximum flexibility. Drawstrings especially designed for performance. 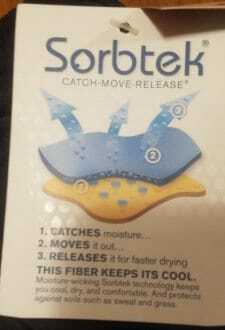 Fabric and material that doesn’t soak excessive moisture for quick drying relief. Flexible material between legs for maximum squatting comfort. The pockets can easily fit a smartphone. 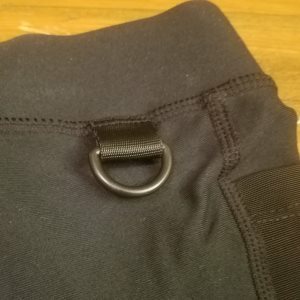 Also, the pockets are deep enough so they can be flipped forward or backward to position the phone toward the front of the thigh or toward the rear of the thigh. Thus, moving it out of the way of the barbell/dumbbells depending on the lift. The material is very lightweight, breathable and comfortable. The material is very strong and durable, with secure stitching. 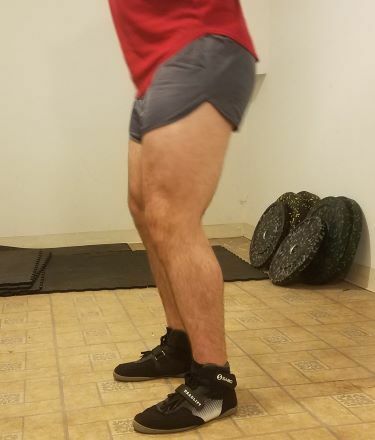 It has by far the best construction of all squat shorts I’ve tried. 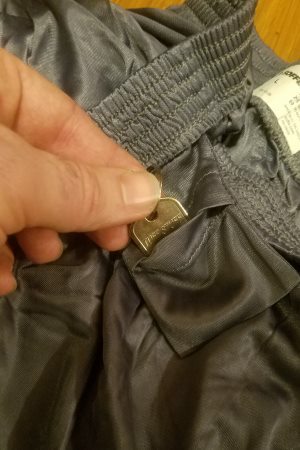 Has a clip on the left rear part of the shorts, just below the waistband. It’s marketed as a place to attach your keys, but I keep my keys in the locker. However, I’ll occasionally use it to clip on my liquid chalk bottle for easy access. 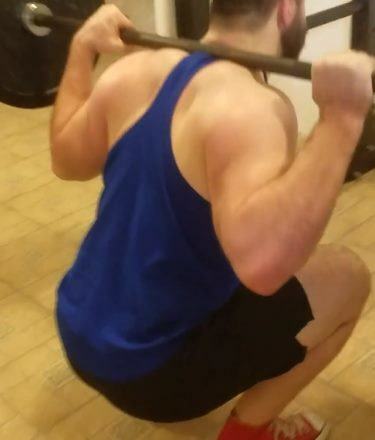 There’s absolutely no resistance at the bottom of the squat ROM thanks to stretch material in groin/inner thigh area. 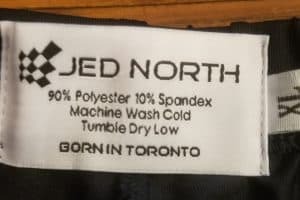 The Jed North Fitted Lifting Shorts are another option specifically designed for lifters. More specifically, they’re targeted more toward lifters who train at least in part for aesthetics as opposed to purely for strength or performance. 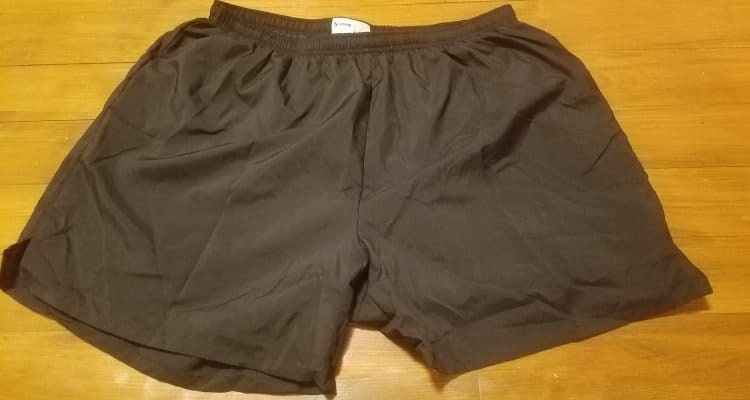 As such, these shorts run a bit tighter and shorter than more conventional pairs of gym shorts in order to achieve a more form-fitting design. In other words, they look great if you’ve got lean and muscular thighs. 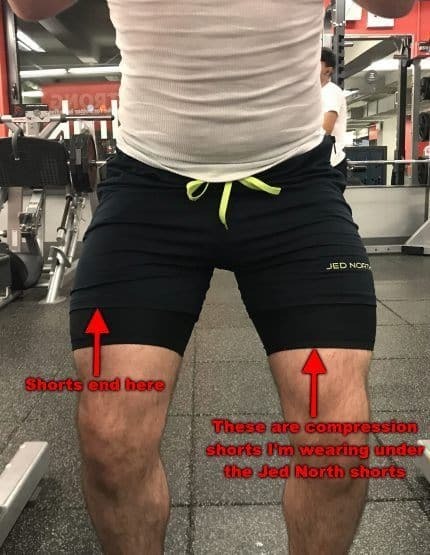 As indicated in the image, I'm wearing longer compression shorts underneath the Jed North shorts in this photo (and the photos below). 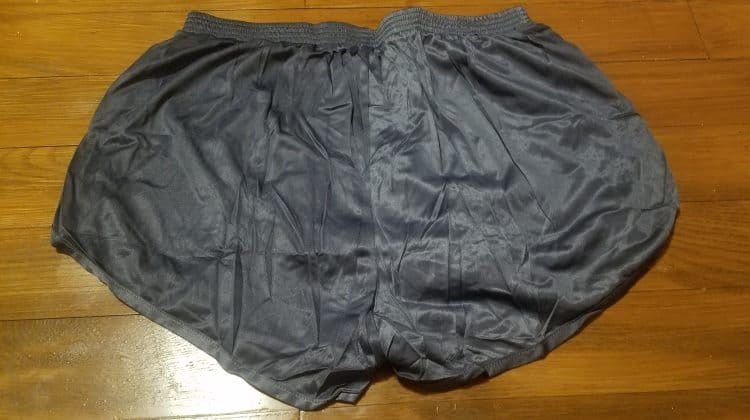 This is important to point out because I don't want you to think these are longer than they are, which is any easy mistake since both shorts are similar colors. 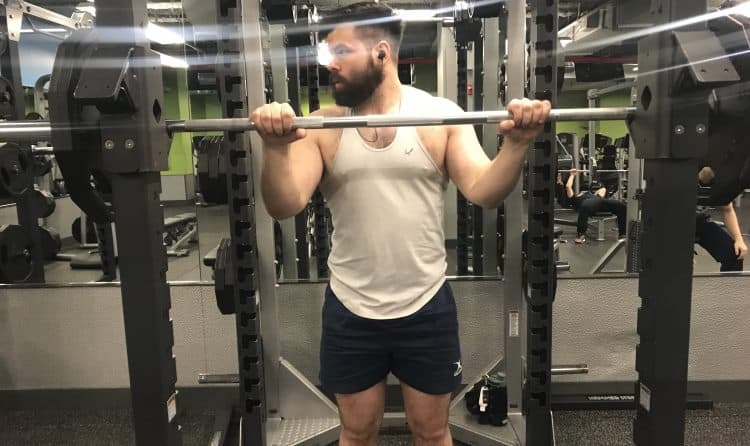 FYI, I wear the compression shorts underneath because otherwise I'd be showing too much thigh for my comfort, at least in a busy commercial gym. You may be fine with it though. Athletic fit — It is designed to lightly hug the thighs to accentuate the quad and hamstring aesthetics. It does this without being tight, form fitting or constrictive. Made from 90% polyester, 10% Spandex blend. Inseam runs from approximately 3.5” to 4.5” depending on size. 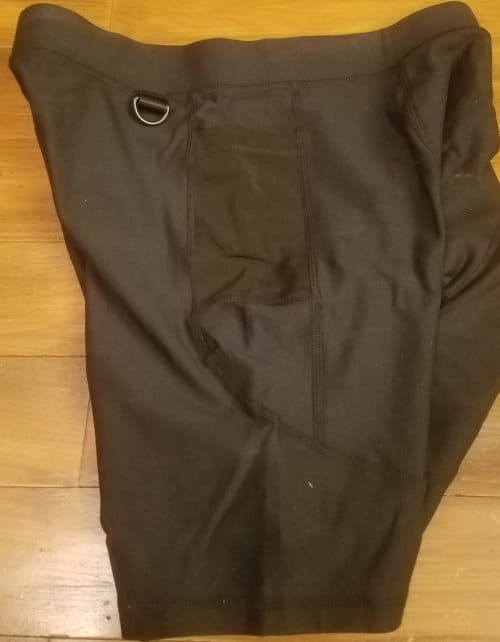 I own the XL size and measured the inseam at just a hair over 4.5". The material is very flexible/stretchy — Part of this is from actual elasticity within the fabric due its specific synthetic fiber blend. 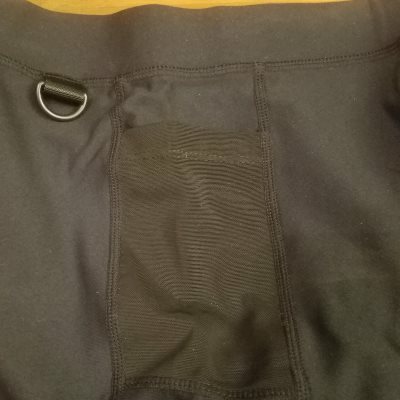 And part is from the material being relatively thin compared to most other shorts. It has 2 wide, relatively deep, side pockets with zippers that are easy to open and close. 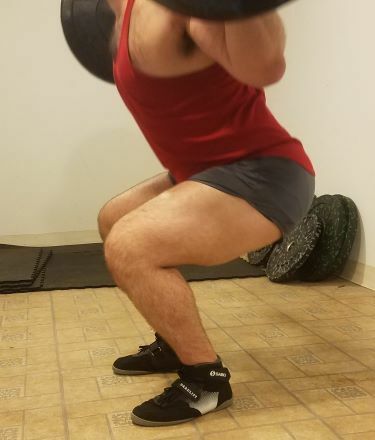 There is no resistance at all at bottom of the squat ROM. The fabric feels smooth, almost silky, on the skin. It has enough room to shift the phone toward the front or toward the rear of the thigh by flipping the pocket forward or back. This is not as easy as on A7 squat shorts — and you can’t move the phone/pockets as far to the front or rear, as you can with the A7s. Depending on your comfortability and your gym, it may be just long enough to be “appropriate” gym attire, or just short enough to be “inappropriate” gym attire. 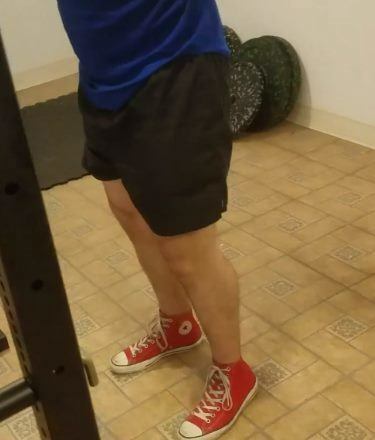 I personally find them a bit too short to wear at a commercial gym on their own. However, I do wear them there — I just wear my longer A7 compression shorts (see #3 below) underneath them. 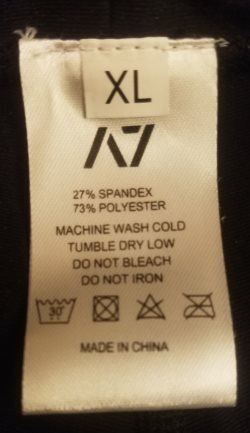 I wear the XL and the fit is just right, but there is barely any room to spare. 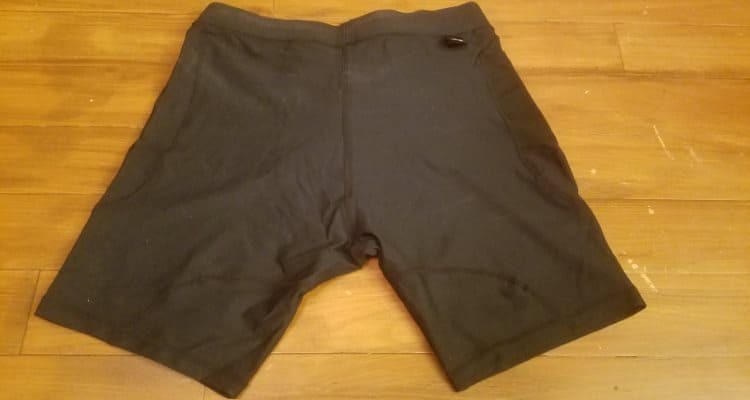 As such, if you have 28”+ thighs and/or 43-44”+ hips, I wouldn’t recommend these shorts since the XLs probably will be too tight and they don’t sell an XXL size. 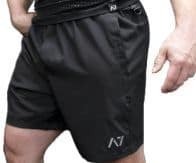 The A7 OX Compression Shorts are a great option for training in a hot or humid environment thanks to their moisture-wicking quality and stretchy material. Inseam for XL is 7.5” (I measured); it is likely slightly less for smaller sizes and slightly more for larger sizes. 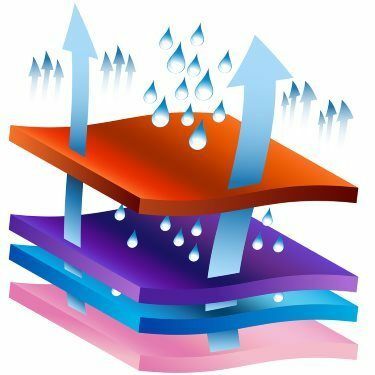 Material that breathes well and helps to keep skin dry. Features a gusset in the crotch area. 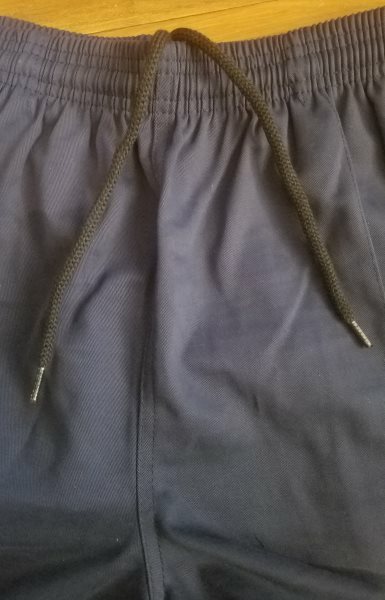 Waistband has drawstrings that can be adjusted to proper fit. 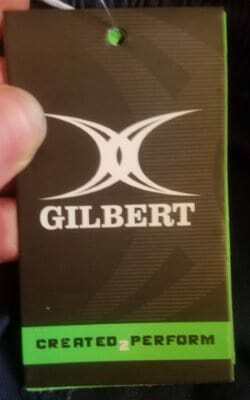 Has a cell phone pocket made of mesh material. Features a clip for keys, chalk, or other items. Also has a larger pocket on the side with extra flexibility to hold your smartphone. 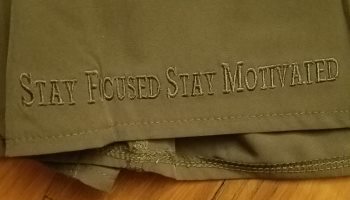 Uses very stretchy, flexible material on all parts of the shorts. The fabric moves with your body in any direction/ROM, with no resistance or pulling. 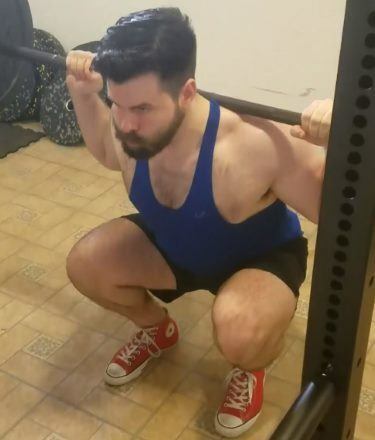 There is absolutely no resistance at the bottom of the squat whatsoever. 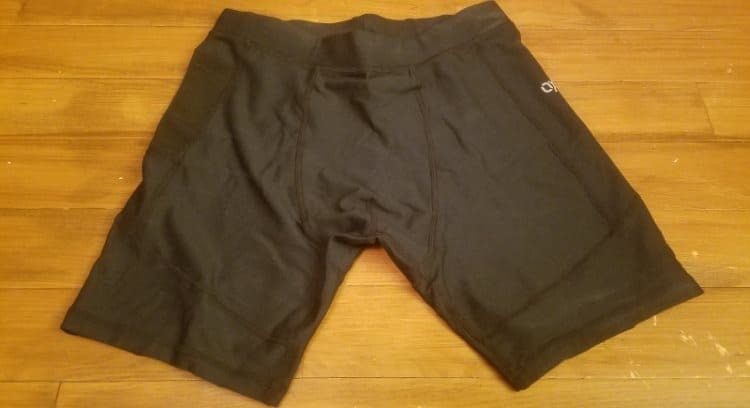 It’s as close to wearing nothing as you’ll get; after all, you’re essentially wearing boxer briefs (specialized, performance-focused ones of course)! The material is very well constructed and durable, and the stitching is clearly high quality. Keeps muscles warm without overheating or trapping in sweat. 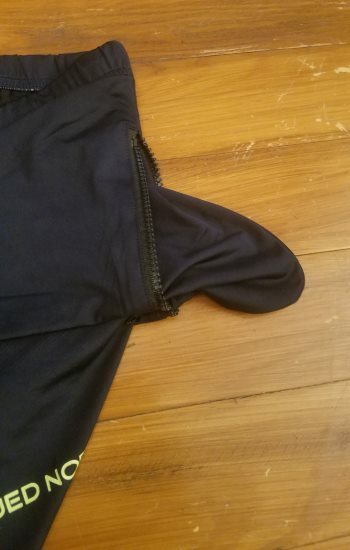 Skin-tight fit (duh, they’re compression shorts) — This may not feel appropriate for many lifters, depending on your gym and your personal comfort level. I personally wear other shorts on top of these and it works great. Medium length — The shorts end about 3 inches above the knee in its typical position. However, it will shift a couple inches higher after a set of squats simply due to the movement of your hips/thighs, as you would expect. That said, it’s really just a subtle upward shift of the material, which is to say, the material isn’t bunching up. 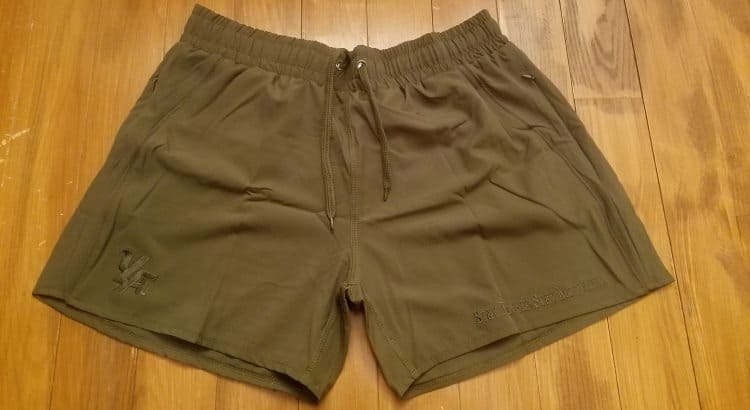 The origins of ranger-style shorts go back many decades to when they were used by soldiers in various branches of the US military for soldiers for running and other training drills. They provide a loose, albeit short, option that is extremely lightweight, breathable and allows for maximum ROM. Material is breathable and lightweight with a bit of stretch to it. 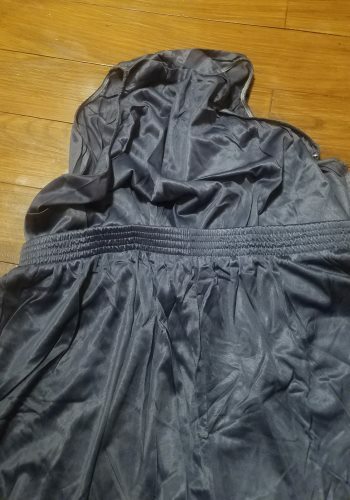 It has relatively sturdy fabric and seams/stitching considering its low price point — I’ve noticed a couple loose threads that needed to be snipped. 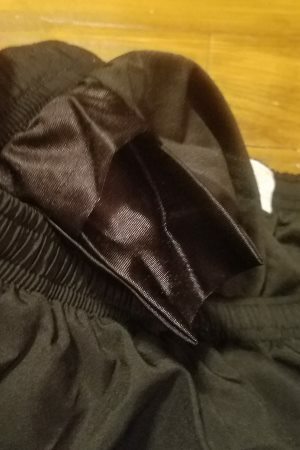 Also, the fabric has acquired some “micro-scratches” where, if you look closely, there are some patches of fibers are fluffed up. This is caused by friction between the shorts and the bar or other equipment. 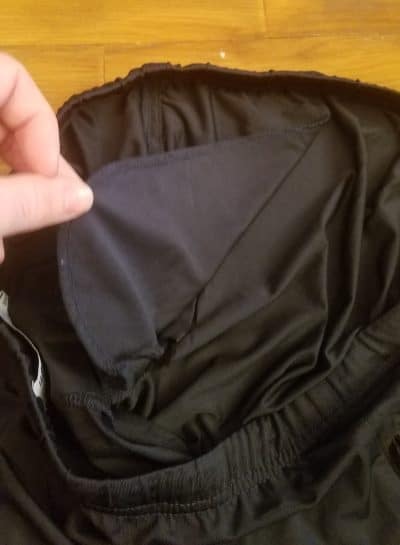 However, it’s not apparent unless you look for it, and it looks like the shorts can take plenty more wear and tear before needing to be replaced. 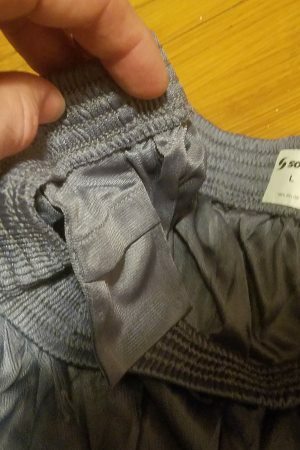 Large/wide side slits — The slits on the bottom outer portion of the shorts are very wide compared to all other shorts reviewed on this page. 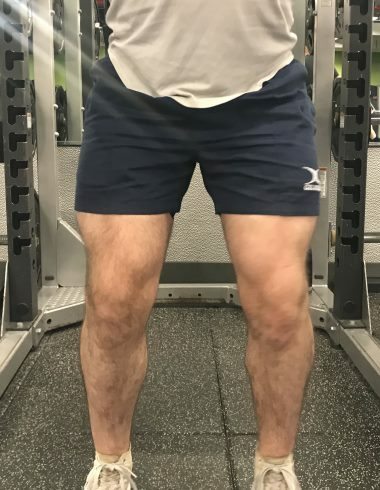 This makes it even easier for your thigh to move freely within the shorts (no drag or constriction) as you go into end-range hip flexion at the bottom of the squat. 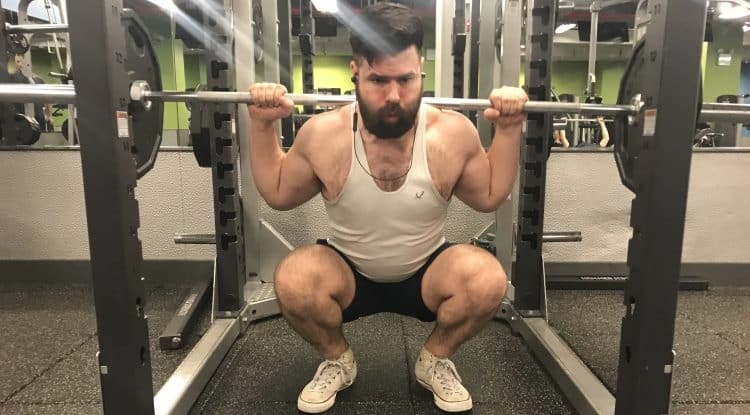 No resistance at all at the bottom of the squat — Shorts are so high on the thigh that the material doesn’t have much distance to move anyway. Plus, the material is flexible. 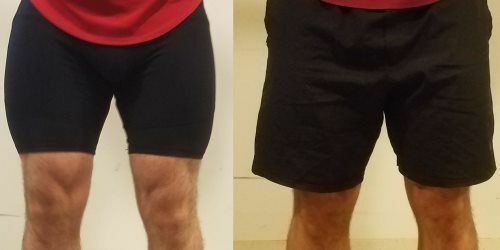 Very short — These are the shortest shorts that I’ve tested for this review. For me, they are way too short to wear in my commercial gym — I could wear them over my A7 compression shorts. However, even that looks a bit odd since there’s a lot of compression short showing and the shorts on top look so small in comparison. I definitely DO wear these in my home gym, though. 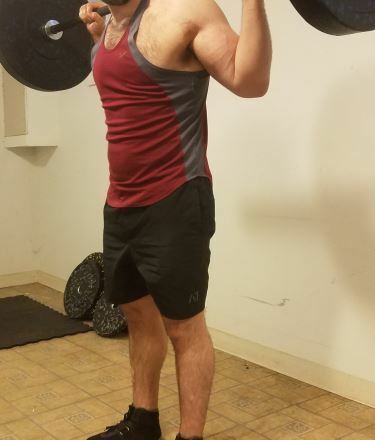 They’re possibly my favorite choice for this purpose, especially since I have no need for big pockets in my home gym (more on pockets below). 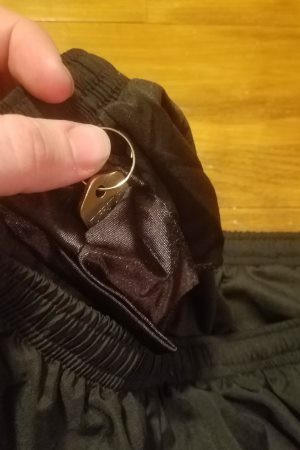 Small internal pocket that’s only big enough to fit a key — This is not good for me when I’m training at my commercial gym, since I have my phone in my pocket most of the time. I don’t like leaving it on the floor since I or someone else could easily drop a weight on it. 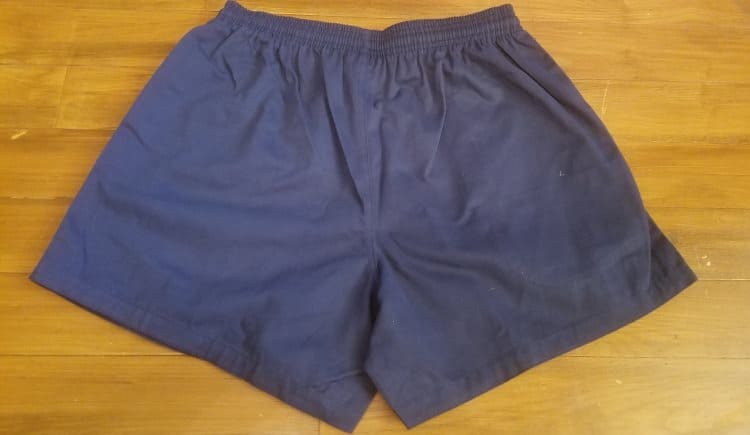 The large slits also make the shorts appear even shorter than the inseam length would suggest, since it exposes much more of your upper/outer thigh than if there were no slits at all. 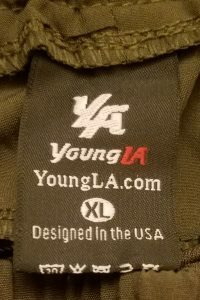 The YoungLA Bodybuilding shorts are possibly the most stylish or aesthetically-driven pair of shorts in the bunch, though they may offset that with slightly less functionality and quality. 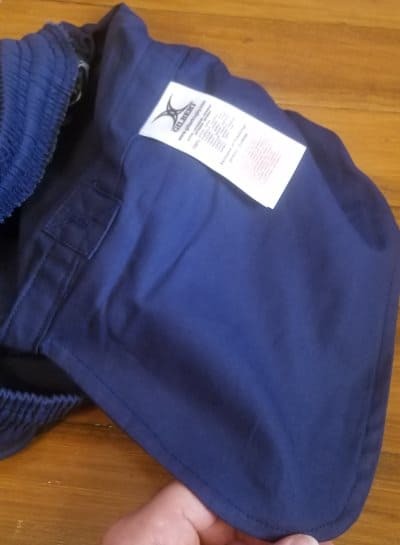 These shorts tend to run on the smaller side, it is recommended you order one size larger than normal. They have a couple deep pockets that feature zippers to keep valuables safe. 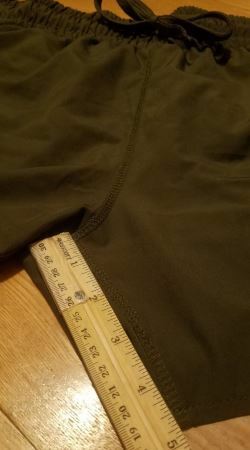 Inseam runs between 4” to 4.75" (S = 4", M = 4.25", L = 4.5", XL = 4.75" -- I confirmed this to be correct, as my XL shorts measure exactly 4.75"). 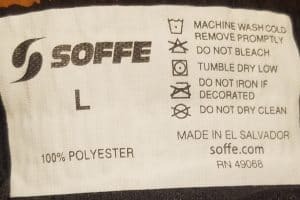 They are made of 100% polyester fabric. These shorts are lightweight and offer comfort with moisture-wicking material. Excellent fit/style — very aesthetic. One of the lower priced options. 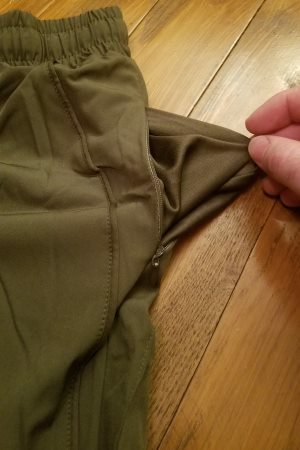 Fabric is not overly stretchy or tight, very loose and lightweight. 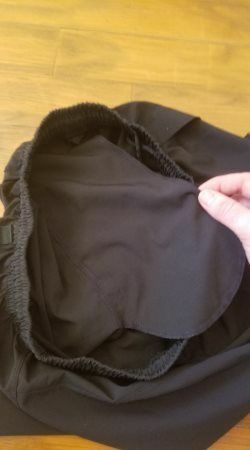 Small-ish side pockets — The pockets are just big enough to hold my smartphone, but with very little extra breathing room. You have a very limited amount that you can move the phone toward the front or toward the rear of your thigh if needed. 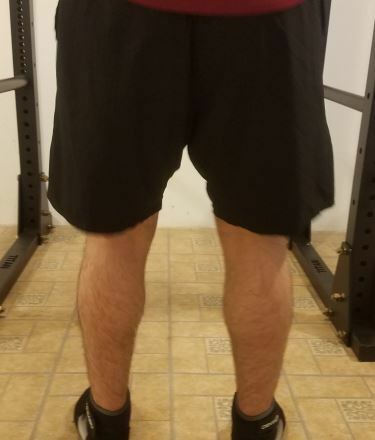 You can’t flip the pockets internally (like with the A7 squat shorts and Jed Norths), which would let you move the phone further forward or backward. This is because the YoungLA pockets are very shallow, whereas the others are much deeper. These sleek yet simple shorts offer quality and simplicity without compromising on function. 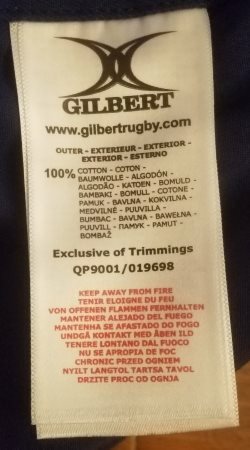 Fabric is made of 100% polyester. 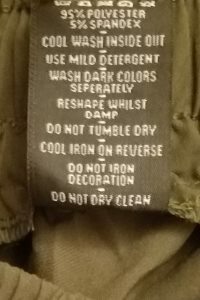 Can be washed in a standard washing machine. Features 100 percent poly liner brief and sorbtek shell for comfort. Utilizes special moisture management fabric to keep skin dry. 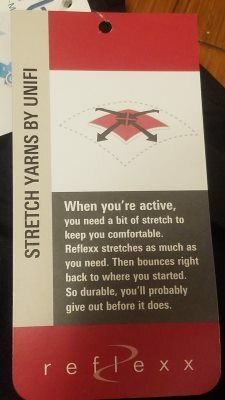 Has a “4-way stretch” fabric making it easier to squat deep. Comes with a pocket to hold small items like a key or ID card. Made from a breathable, lightweight material with a “4-way stretch” fabric to allow for flexibility and greater ROM. There is no resistance at all at the bottom of the squat ROM, thanks to stretchy fabric and wide leg opening. 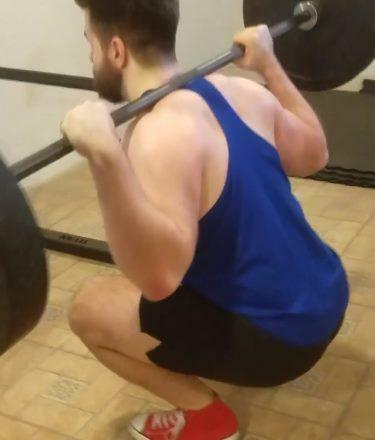 Although the wide leg opening helps ensure there will be no fabric catching on the thigh during squats, I think the opening is still a bit wider than needed; or at least wider than I personally prefer. 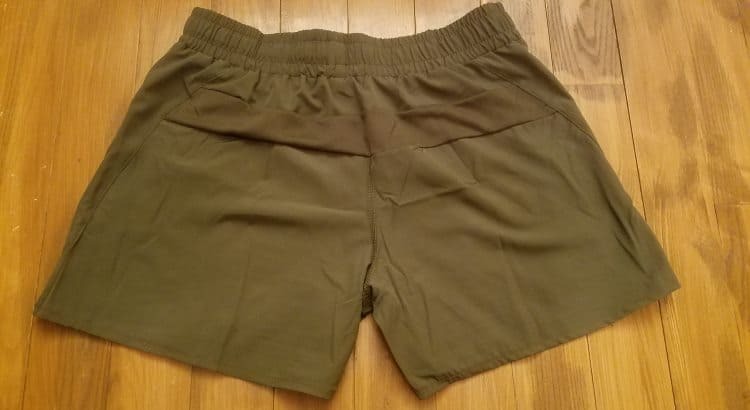 It can make the shorts almost feel too drafty. And it’s more likley to accidentally catch onto equipment when walking by or hopping on/off machines. Internal pocket is way too small to fit a phone, wallet or even a key ring with multiple keys or a large key fob for your car. 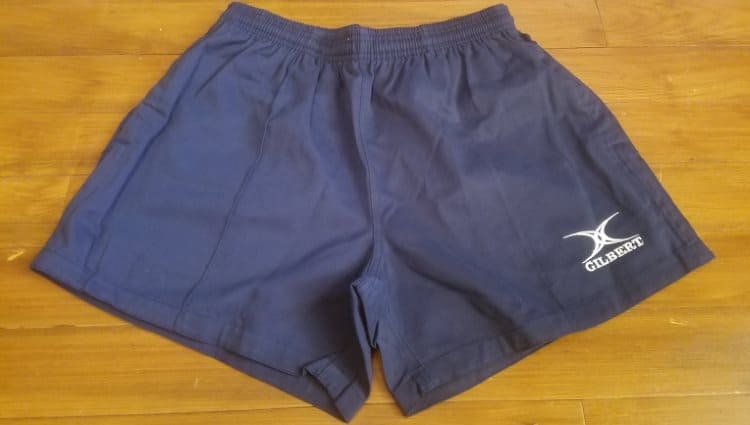 Originally made for rugby players, rugby shorts like this pair from Gilbert are also a popular training apparel choice for many lifters. The waistband is elastic and features drawstrings for customizing tightness. Has two pockets for valuable items, with reinforced stitching to ensure quality. These shorts are designed to be resilient with reinforced seams. Include an off-set inside seam to minimize chafing. 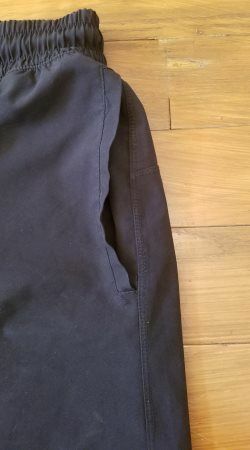 Very deep pockets — You can easily shift your phone in the pockets toward the front or the rear by flipping the pocket over in either direction. This lets you position it out of the way if needed for certain exercises. It’s made from a cotton material that’s heavier and more rigid than I expected. 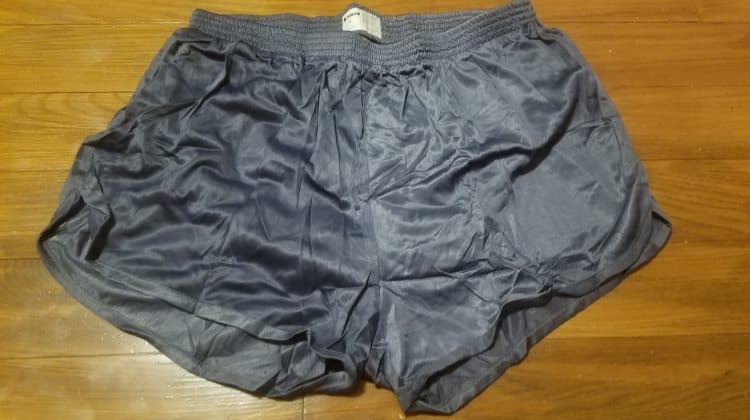 Pleated style — Pleats allow for more room in the thighs, but in this case it also an ruffling/wrinkling of the pants material as well as an awkward-looking puffing out on the front of the shorts above the crotch region. Average comfort — It’s not uncomfortable. However, when you’re just standing, the fabric surrounds your thigh without really touching it. This is because the leg openings are large and the fabric is stiff. Think of it like having parachutes over each thigh. Well maybe not that extreme, but you get the idea. When you’re walking or otherwise moving your legs, you feel your thigh bumping into the shorts with each step or movement. This is just one possible distraction, albeit a minor one, that you’d be better off without when trying to focus on your workout. 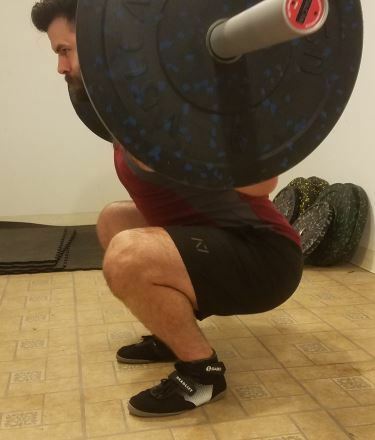 Unfortunately, there’s a noticeable amount of resistance at the bottom of the squat. 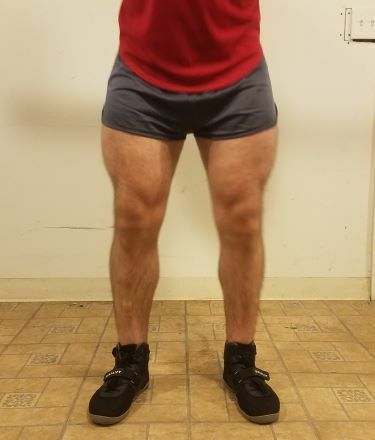 You can almost feel the shorts slightly pulling your pelvis forward into posterior pelvic tilt. It’s not a strong pulling force or anything; I’m just trying to describe the direction of the resistance. Overall, these aren’t great for squatting. But they may be an excellent choice for deadlifts, which don’t require getting into as low of a hip-flexed position. 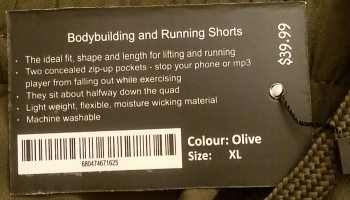 I have researched and personally squatted in all of the 7 different shorts listed in this review. While all of them have merit, it is my opinion that the A7 Center-stretch Squat Shorts are the overall best choice. 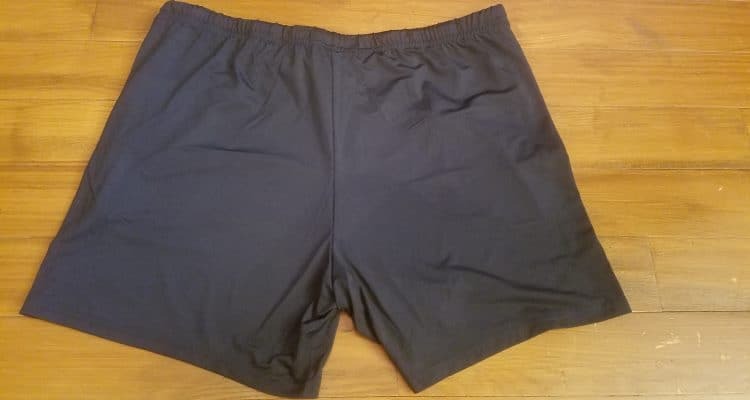 These shorts offered the best overall value with all of the features I discussed earlier, as well as none of the drawbacks some of the other short options presented. It offers lightweight, breathable, comfortable material that also delivers on durability with secure stitching. It is a well-constructed pair of squat shorts that makes it a better long-term investment. 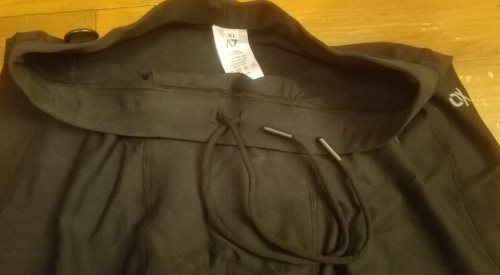 It has great features including two pockets that can be adjusted as needed and a clip as well for storing your phone, keys, liquid chalk, straps and so on. Most importantly, it offers no resistance throughout the squat motion, making it an ideal choice for performance. As a bonus, it offers proper aesthetics as well. They have a nice-looking fit. 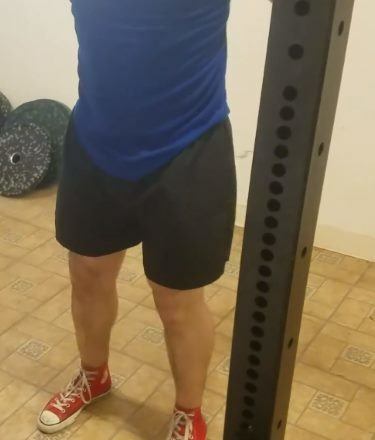 And I think the more modest lifters out there will appreciate that they aren’t super short like some of the other shorts I reviewed, which could be seen as a bit risqué, or at least not appealing for the commercial gym setting. ...That said, they are about $20 less than the A7 shorts. 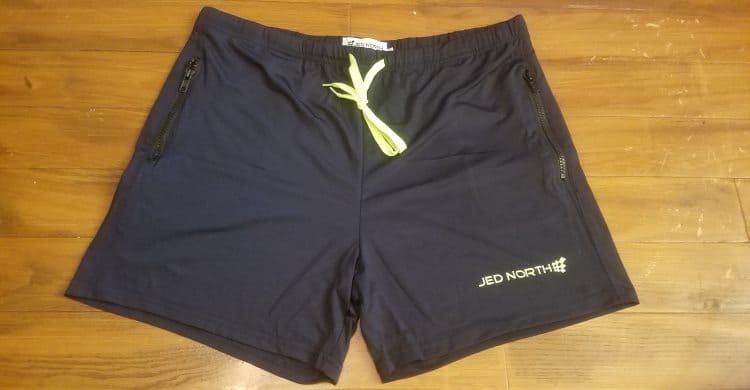 Plus, if you want a more "aesthetic" look to show off your quads, the Jed North's are arguably better in that respect. Great write up on shorts! Luckily I lift at home and can just wear some knit boxers that don’t restrict my movement at all for squats, stretching or anything else. 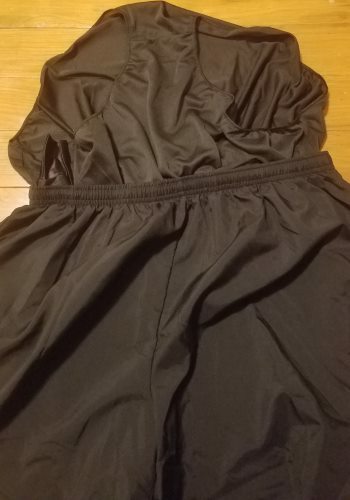 I still have some old basketball shorts that worked well too when I would go to a gym. Thanks, Stu! 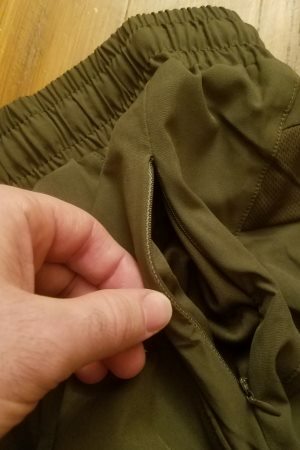 I took a long time on this article, in terms of actual thorough testing of the shorts and then writing up my findings — Glad you were able to use it to find the A7 shorts. They really are the best ones out there for squat performance. FYI, if you ever order anything from A7 in the future, be sure to check the A7 Oceania site for faster/cheaper shipping to Australia — https://a7oceania.com/. 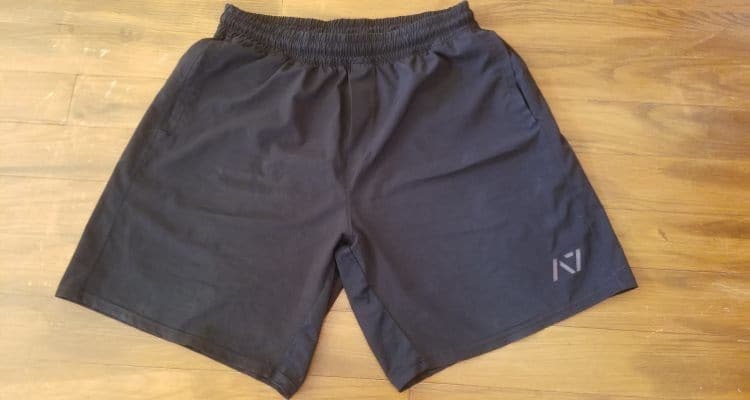 It looks like they only have the Bar Grip shirts in stock, so it wouldn’t have helped for the shorts in this case… But if you want a second pair of the shorts in the future, maybe they’ll be in stock then.